13 Feb instructor spotlight: Kai-Ting Yang! 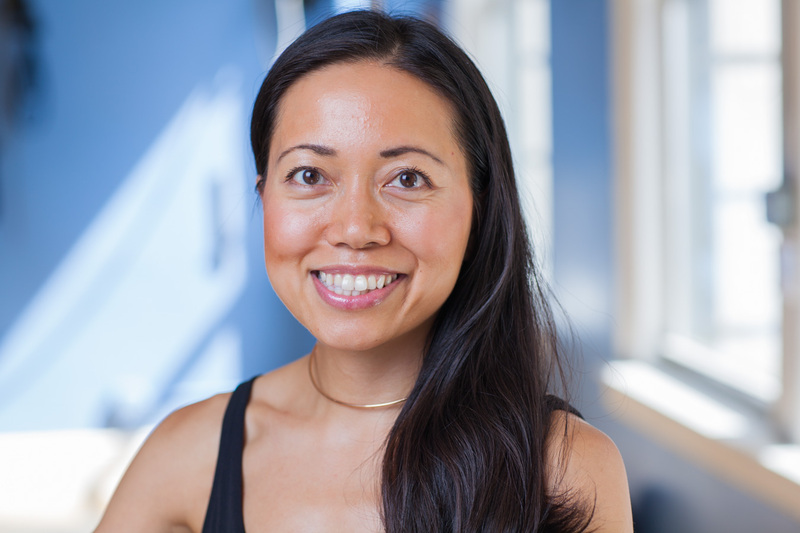 Introducing the amazing Kai-Ting Yang, who you can find at the studio on Tuesdays and Wednesdays, and teaching our Pilates + class on Wednesday nights! Read on to find out fun facts about her and be sure to book a session with her now. A: The spinal extensor muscles, both big and small (like the longissimus and multifidi). When you sit in front of a computer for most of the day, it’s important to strengthen these back muscles to reset your posture. I used to hate extension exercises, but now they are my favorite ones to do and teach. A: I love the bumpy ball. You can use it to wake up your proprioceptors, challenge your balance, and release fascial tension. Plus, I love seeing the smiles in my class when we start tossing it around. A: I love old books, especially those from the late 19th century and early 20th century. Some favorites are The Moonstone, Dracula, and Mrs. Dalloway. Kai-Ting Yang is a resident of Kinected’s Residency Program and is certified through The Kane School. During her first January in New York, she signed up for a Pilates class to cure the winter blues. Lightning struck, and she fell madly in love with this movement method. As a Pilates teacher, her goal is to spread joy. She wants you to share the happiness that comes from appreciating what your body can do, and the playfulness that comes from challenging it beyond old expectations. Kai-Ting has trained clients ranging from age 14 to 70, including expectant and new moms, runners, Muay Thai fighters, and dancers. She has also taught Pilates at a physical therapy office, where she designed programs for patients with various injuries and spinal conditions. Before she became a Pilates teacher, Kai-Ting was an attorney for eight years at one of the world’s top law firms. She has lived in Taiwan, Saudi Arabia, and England, and she speaks Mandarin and French.